Does Being Clean Make You Healthier? Roommates can often be a conflict in college. My roommate certainly is. He is one the messiest humans alive and just has no regard for personal hygiene. I would not describe myself at the most organized person but I have SOME sense of organization. While I could go on about how disgusting I find him, that is besides the point. After witnessing the filth that my roommate has had to live in, I wondered whether or not a person’s health could be affected simply by whether or not they come back to a clean room every day. In other words, does cleaning your room make you healthier? Having a clean room actually has numerous health benefits. One of the benefits is reducing stress and anxiety. Coming home to a room or an entire house full of clutter and disorganization can create a subliminal to do list in your head. With this constant list in your head you may always feel busy and thus feel more stressed. According to a study by the Personality and Social Physiology Bulletin, women who described their homes as cluttered often were more depressed than women who described their homes as restful or restorative. They even contained higher levels of Cortisol, a hormone related to stress. 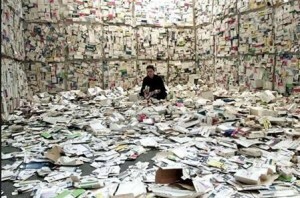 Constantly having a mess to clean or a project to finish can be detrimental for a person’s mood. It can even negatively affect a person’s ability to sleep. Another way that having physical order in the place you live is by affecting the way you eat. 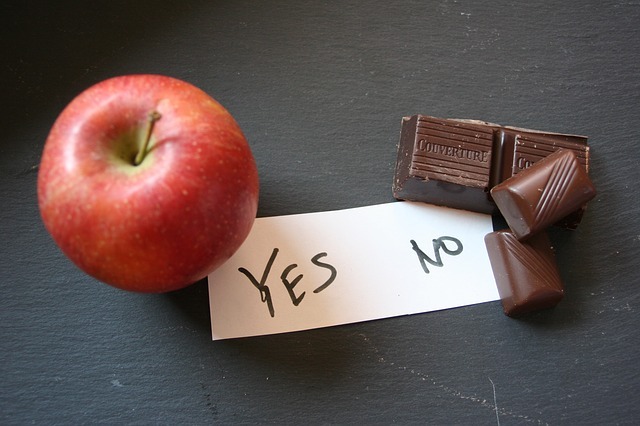 People who worked in an organized area for 10 minutes were twice as li kely to choose an apple over a chocolate bar than those who worked in a messy area, according to a study by the Carlson School of Management at the University of Minnesota. Since messiness and cluttered work spaces cause stress, the brain will want to relive some of this stress, and one way the brain may do this is by seeking comfort foods (like chocolate). Having a neat work space or living area will cause you to make healthier diet choices which can further help with weight loss. Another aspect of being clean is by having an organized schedule. People who have organized schedules tend to stick to them, reducing the level of chaos that is in a typical day. This can apply to the gym. Those who have pre-determined exercises and workouts when going to a gym will stick to them and stay committed to the workouts over a long period of time. People who just go to the gym and hop on any machine that is available will have a erratic workout and will most likely not stick to it. Another way to be organized and improve your health is by setting goals. This can tie into scheduling. People who set goals in the gym will often work harder and longer than those who just lackadaisically workout. Being clean and reducing the amount of clutter in your home or you work space can substantially improve health. Better sleep, less stress, and the likelihood of making healthier decisions are only some of the health benefits of being neat. If my roommate were to clean up his side of the room, I would be curious to see how his behavior would change. Perhaps he would seem happier and would not be so inclined to yell at his friends online about some unimportant video game while I try to sleep. One can hope. This entry was posted in Uncategorized on October 20, 2016 by David Ross. Can Adderall Enhance Academic Performance? College students are often under high stress situations. Whether they are studying for an exam or trying to finish a lengthy paper, students at universities across the nation will do just about whatever it takes to get the grade they want. Today, a very common method of enhancing academic performance is taking the drug Adderall. This drug is well known to increase focus/ attention spans and cause restlessness which coincides perfectly with how typical college students want to study. According to a Survey on Misuse and Abuse of Prescription Stimulants Among College Students and Other Young Adults, one in five college students admits to using Adderall without a prescription. Several students cram the night before of an exam and often do not even sleep just so they can get every last ounce of studying in. Does adderall actually help the students get a better grade? Adderall is used to treat attention deficit hyperactivity disorder (ADHD) as well as narcolepsy. People with ADD or ADHD have certain impairments that result in decreased levels of attention. The lack of attention is caused by the hyperactive state of the brain. The two neurotransmitters that are in Adderall are amphetamine and dextroamphetamine. Both of these neurotransmitters are considered stimulants and influence chemicals and nerves in the brain that control hyperactivity (and impulses). Since people with specific disorders such as ADHD or ADD have abnormally active minds, Adderall is used to treat the disorder by moderating the activity of the brain. 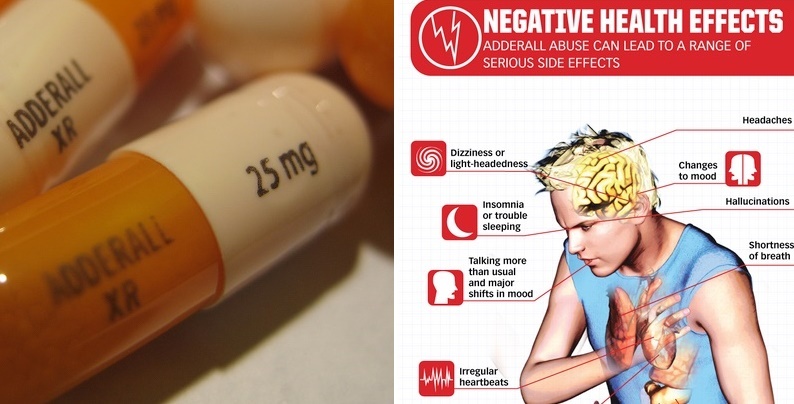 While Adderall does help millions of Americans who are diagnosed with ADHD and various sleeping irregularities every year, many people illegally consume Adderall. The most common group of people to rely on Adderall illegally is college students. Adderall has similar effects for those who do not have ADHD or other hyperactivity disorders. Adderall works to increase the brain’s access to dopamine. This allows for someone to find some pleasure in doing something that would otherwise not be enjoyable. This also allows for someone to concentrate on a particular thing easier. Since Adderall results in increased concentration, staying up all night to study may become easier and more enjoyable for students. Understandably, it is often assumed that this would result in higher grades. What people fail to realize is that students often consume adderall just a day or two before their exam. Since the studying effort was crammed, retaining the information studied is not as easy. Adderall is often the last hope for students. If they do not take a pill of Adderall before studying they may worry that they will not have motivation, and may end up not studying at all. Currently there are no studies or experiments that relate adderall consumption to grades but that may change in the next few years since the issue of adderall consumption continuing to increase among college students is prevalent. The best way to determine whether or not adderall has any effect on academic performance would be to conduct a double blind placebo trial where certain individuals take adderall before studying and the other individuals take a placebo pill. The morality of such an experiment is often questioned considering adderall can become addictive, and comes with several other side effects such as loss of appetite, lightheadedness and restlessness. Without any study to reference to, it is difficult to form a correct conclusion. Some students swear that they get better grades because of adderall. This may be in result of the fact that the student actually decided to study after taking adderall. 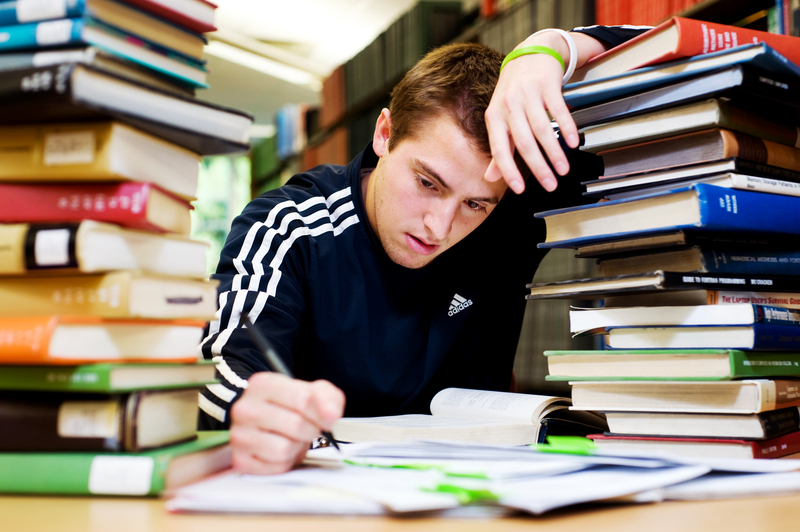 Without adderall, the student may not have been motivated to study, and therefore may not have studied at all. 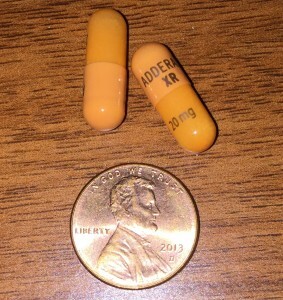 Depending on how Adderall is used in terms of studying, whether the user studies in intervals or crams at the last minute, the grades that result from consuming adderall may change. A student who studies in intervals will almost always get a better grade than a student who crams their studying attempts. If both of these students were to take adderall prior to when they studied, I do not think there would be any change in the grade that they both would have received without taking adderall. 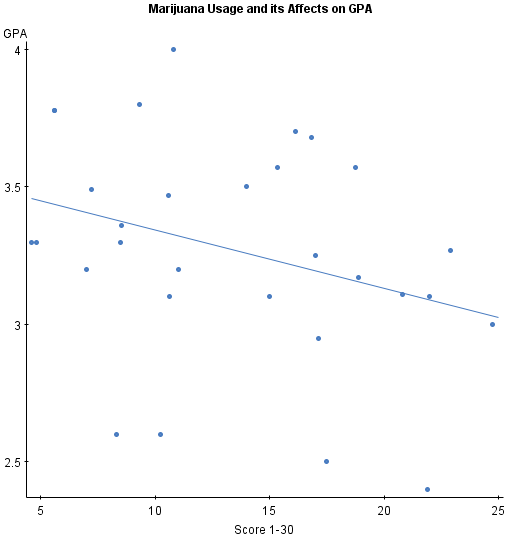 The higher grade is not from consuming adderall but rather based on how the student studied. Adderall cannot yet be attributed to higher or lower grades, however, after reading about the drug and how it is abused, I would imagine that it does not have a significant effect on intelligence or on the ability to get better grades. What may actually influence the grade a student gets on a test is the tactic he or she used to study for it. absence of parents and you get college students studying while under the influence. We all have a friend, or at least know someone, who always seems to get high before studying. I never considered that consuming marijuana was ever helpful in terms of academics, but I never really thought about it. Even though a select few of my friends do this, they still manage to get good grades and test well. Does getting high before studying give them an advantage? yze, they all support the conclusion that there was a moderately negative correlation between marijuana consumption and GPA. 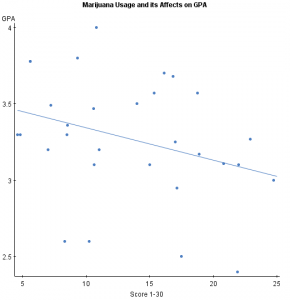 The figure to the left shows a scatter plot relating the level of marijuana consumption (1-30, 30 being a high level of consumption) to the average GPA of the students. In this specific study, marijuana actually HURT the academic performance of the students. No explanation was provided as to why the GPAs were lower among the students who smoke. Even without a mechanism, the conclusion can still stand. Possible third variables were considered and the low p- values acquired through the statistical analysis dismissed the claim that the results were due to chance. 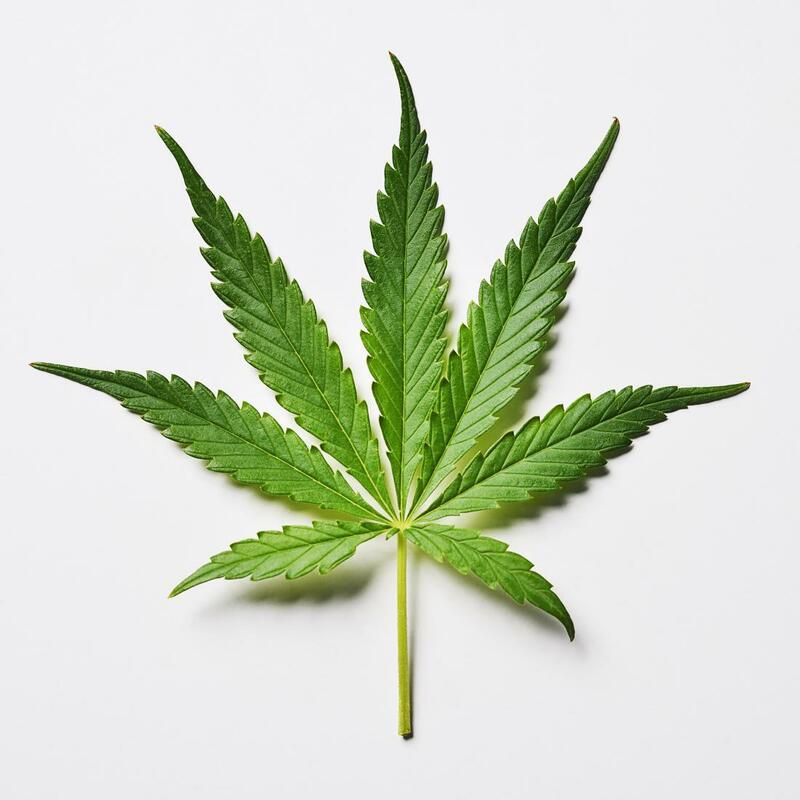 While the previous study concluded that marijuana hurt academic performance, another study from the Center on Young Adult Health and Development discussed marijuana and its linkage to drop outs. The figure to the right helps illustrate what the study found. 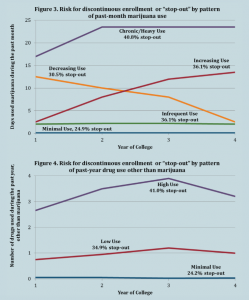 Those who were classified as chronic or heavy users of marijuana in the past month were 40.8% more likely to drop out according to the graph. 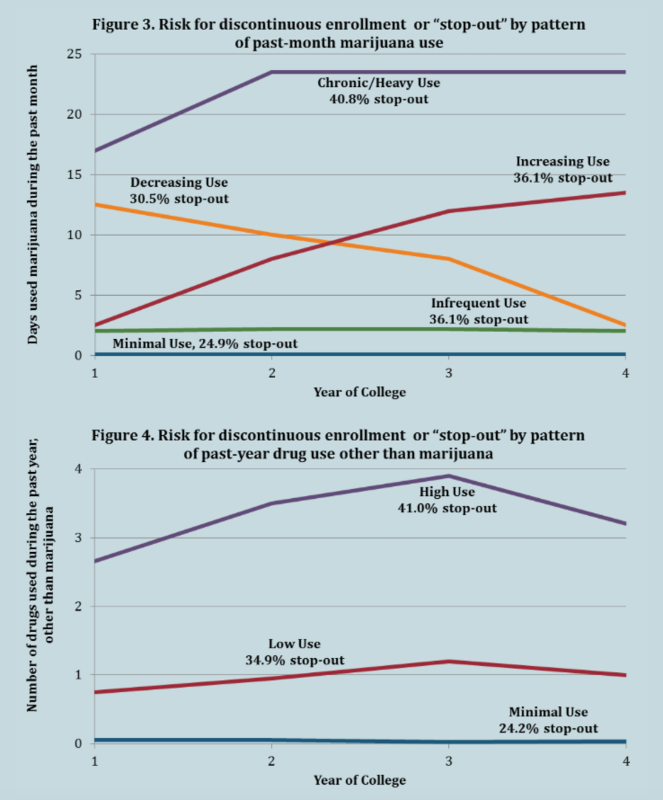 What was interesting was how students who gradually increased the amount of marijuana they consumed also became more likely to drop out over time. The drop out rate was caused by unsatisfactory academic performance, often resulting in the student being kicked out of the school. So if marijuana leads to a decreased level of academic performance, why is it that my some of the people I know are able to excel in school while being potheads at the same time? I believe the answer lies in why the people I know choose to smoke. They do not smoke in order to get better grades, because that clearly does not work according to most studies. They choose to smoke before they study because it allows them to become less stressed, and focus specifically on the task at hand, rather than being distracted by various other things. If getting high allows them to concentrate, or even motivates them to study, then it is no surprise that they can still manage good grades and high test scores. In conclusion, marijuana itself does not lead to better academic performance, but if it is consumed in order to make you more comfortable while studying, then it may end up being beneficial. Since Penn State must not get enough of its students’ money, they charge us for gym memberships that allow us access to the various gyms around campus. Since there is actual money on the line, I am almost more motivated to workout. Recently, I lifted for the first time since the beginning of summer. It appeared like I belonged in the gym in front of the other Penn State students but the next morning I was regretful. Every muscle in my body ached and I could barely walk to class since my legs resembled stiff tree stumps dragging across the pavement. While I was in agonizing pain, I wondered if lifting while I was sore would be helpful or detrimental to my body. When people lift weights, they contract and stretch the muscles needed for the exercise. These various contractions result in delayed onset muscle soreness or DOMS. DOMS is caused by micro fractures within the muscle cells. When I lifted for the first time in months, I was more prone to DOMS since my muscles were not used to the movements I was doing. The tiny fractures in the muscles cause bleeding which can further cause swelling and inflammation. Since the muscles are essentially injured, they need time to heal. Muscles that undergo eccentric contractions, which consist of basically shortening and then stretching the muscle, take longer times to heal since the muscle often is not used to that specific movement. John Berardi stated that muscles do not fully recover after being broken down until after about 14 days, however, it is safe to resume working out 48 hours after an intense workout. 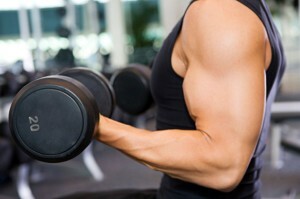 Muscles do not grow and get stronger during the workout, which is what many people believe. This happens during the recovery process. Since muscles are in the process of healing when they are sore, it is not advised to lift or further break down your muscles. This will disrupt the healing process and actually prevent the muscles from growing. Eventually they will slowly repair however they would not grow as fast as they would with a proper stage of healing. Because muscles need to heal for about 48 hours following the workout, several body builders often rely on steroids to reduce that time, which allows them to build even more muscle mass. Most people think that steroids just make the muscles amped up during a workout which causes the person to lift more, but it is really the boosted healing process that allows steroid users to get ripped. Without steroids though, it is recommended that you wait before you lift again. Since muscles can only grow by repairing themselves after being broken down, it is best not to interrupt this process of healing. If you lift again while your muscles are sore, while it may seem that you’re becoming stronger by working through the pain, you are actually preventing your muscles from healing properly, and further preventing them from building more mass. So should you lift when your muscles are sore? Probably not. I recommend you work on a separate muscle group so you can maximize your gains for later. This entry was posted in Uncategorized on September 16, 2016 by David Ross. As the demand for healthier alternatives to the common junk foods increases, several people find themselves drinking diet sodas over the regular ones. While in theory this seems like the perfect solution, is diet soda actually healthier to drink? 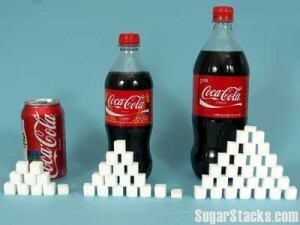 The main reason that sodas are so unhealthy is that common sodas contain absurd amounts of sugar. A 2012 Gallup survey says that 48% of Americans drink at least one glass of soda a day and if you consistently load yourself up with that amount of sugar, it isn’t too hard to imagine the negative effects that will result. 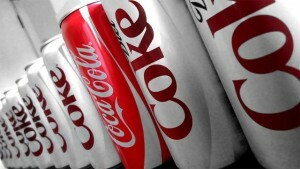 Common sodas consumed by Americans include Coke, Dr. Pepper, and Fanta. In a can of Coke, there are 39 grams of sugar; In Dr. Pepper there are 41 grams and in Fanta Orange there are 23 grams. All of these listed sugar amounts as well as the amounts of just about any other soda you can think of are provided here. Sugar is widely accepted as extremely unhealthy, especially when consumed regularly. Whether it is breaking down the enamel of your teeth or being the leading cause to adulthood obesity, sugar is unfortunately one of the worst things we can consume. So if these sodas didn’t have the sugar in them, would they be considered healthy. Diet sodas are considered by many Americans to be healthy. While they do have some “healthier” Sodas without sugar or diet sodas are often sought after over regular soda because of their lack of natural sugars. The way that diet sodas get their sweetness is through artificial sweeteners. Whether or not artificial sweeteners are unhealthy for you is still a controversial topic however they are believed to be significantly better than regular sugars. Since there is no sugar in diet sodas, the likelihood of getting a cavity in your mouth is greatly reduced. Although, dentists are not known for recommending that you drink diet sodas everyday. Even though they don’t contain any sugar, diet sodas are still very acidic, which can break down your enamel faster. Diet sodas usually don’t have any calories so you’d think that they would help people with weight loss. This is actually wrong. Since diet sodas do not provide the brain with actual sugars, the brain continues to want sweet foods. People drinking diet sodas will crave more food even after eating a meal than do the people who drink regular sodas with sugar. Scientists also noticed a correlation among people who drink diet sodas and the rate of heart attacks among these people. People who drink diet sodas were 48% more likely to have a heart attack according to one observational study. This is only a correlation however. Confounding variables such as the fact that people who drink diet soda may already. Clearly soda in general is a unhealthy choice of beverage. While regular sodas have high levels of sugar, diet sodas contain artificial sweeteners and can lead to unhealthy choices in the future. Neither are beneficial and your body will end up hating you if you drink sodas regularly. However, if you had to choose between diet soda or regular soda and stick with that choice for the rest of your life, diet soda would be the way to go. This entry was posted in Uncategorized on September 15, 2016 by David Ross. Do energy bracelets actually do anything? Other than looking cool, energy bracelets are claimed to have the ability to enhance performance or improve balance while you go about your day. Are these bracelets actually legitimate or is it just the placebo effect at work? Most of the companies that advertise “power bracelet” products often claim that the bracelets have holographic technology. Most people do not even know what this means. It’s a brilliant tactic used by the manufacturers since its vague and is often dismissed by consumers. According to Mack Lemouse, the holograms are supposed to resonate at the same frequency at which your body’s cells do, thus causing your body’s performance to be enhanced. Lemouse later explains that holograms do not even create vibrations/ frequencies but rather just refract light. Another part of this claim that is not valid is that our cells vibrate. If they do not vibrate in the first place why would someone want a bracelet to vibrate them? Not all bracelets claim to use holographic technology however. 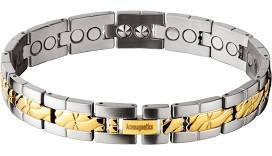 Other brands of power bracelets often claim that they have negative ion power. Negative ions do exist and are exposed to us when we are near waterfalls, strong ocean waves, and heavy rainstorms. They even provide health benefits. When we breathe in these negative ions and they enter our bloodstream, our bodies release increased levels of serotonin, which can help with anxiety, stress and depression. Since negative ions actually do enhance our bodies in some way, people often believe that these power bracelets help us. There is just one problem; the negative ions that are supposedly in the bracelet do not enter out bloodstreams when we wear them. Scientists have stated that while there is no proof that these bracelets actually help us in any way, they are not harmful and the placebo effect might possibly enhance your performance if you really desire to improve. The only proven way that these bracelets can help enhance performance is by the placebo effect. According to the English Oxford dictionary, the placebo effect is a beneficial effect, produced by a placebo treatment, that cannot be caused by the placebo itself, and must therefore be due to the patient’s belief that it is. 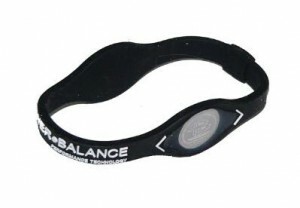 When athletes wear these bracelets, they often believe that the bracelet will cause them to play or perform better, thus causing them to try harder. Since they try harder, they usually do end up playing or performing better. The first thing the accredit this success to is the power bracelet that they are wearing. What really happened was the placebo effect. Is it worth it to buy a power bracelet when you come across one near the register at a store? As long as it is not terribly expensive, there really is no downside to buying one. The bracelet may not be able to deliver what it claims to, but by simply having it on your wrist while you play a sport or exercise may cause you to think that it is enhancing your performance, this causing you to try harder. These bracelets are also somewhat stylish for athletes to wear. Several athletes like Ryan Howard and David Ortiz wear these bracelets. They may be getting paid to do so but if you really want to wear one, go ahead and buy one. Hey guys my name is David Ross and I’m from Alexandria, VA which is about 20 minutes outside of D.C. I’m a freshman and I will be majoring in Professional Golf Management (PGM). and then watched a variety of popular shows on Netflix just about every day. I did not spend too much time thinking about science. I have nothing against the subject, I just don’t place it high on my list of things to ponder about in my free time. If anything, I would say that I occasionally enjoy watching science related YouTube videos created by Vsauce or Minute Physics. It is always fun to watch something that teaches me something I actually have an interest in. Here is one example. Other than being bored before bed though I do not involve myself with science which is why I am not majoring in it. My passion is golf and the fact that Penn State offers PGM is why I chose this university. When I was with my advisor at NSO I was not sure what to do in terms of fulfilling my gen ed requirements. Since my major doesn’t really involve science in any substantial way, I was looking for a course that wouldn’t be detrimental to my overall college experience but would just get me closer to getting my degree. My advisor left the decision up to me. I could have taken a meteorology class but something attracted me to SC 200. In all honesty I chose it because the description made the class seem easier than the other choices. Andrew, however, in the past couple classes has showed me that it won’t necessarily be easy. I will be challenged and will have to set aside a decent amount of time for this class. While that may not have been appealing to me a couple weeks ago I couldn’t be more excited now. I haven’t had too many fond experiences with science considering my teachers have been unbelievably incompetent and boring. Andrew isn’t like that in the slightest. The fact that we basically choose what to learn about and get to interact with each other about it all will be an experience I have never had before. Some topics I would appreciate learning a little bit more about would have to be the possibility of life other planets and the possibility of an identical version of me if the universe is big enough. I am ecstatic that I am in this course and I am sure that I will look back to this course someday and consider it one of the best classes I ever took at Penn State. See you all soon! This entry was posted in Uncategorized on August 30, 2016 by David Ross.